Tomorrow is Cinco de Mayo. 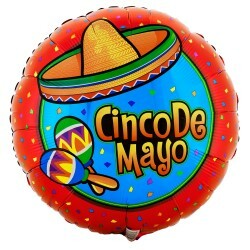 In Puebla, Mexico, local residents will hold small celebrations to commemorate the Mexican army’s unlikely victory over the French at the Battle of Puebla on May 5, 1862. Across the United States, though, revelers will party all day long. For the last decade or so, Americans have seen May 5 as a celebration of all things Mexican. At Mexican restaurants, Tex-Mex eateries, and bars across the country, Coronas, Dos Equis, and Margaritas will flow like water. What’s a wine drinker to do?